PLASTIDIP.EU ... 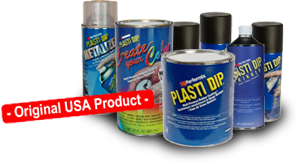 The EU supplier of USA Performix Plasti Dip®! The original Plasti Dip® fluid rubber is made in U.S.A. www.plastidip.eu domain is registered by Classic International B.V. For over 17 years we import Performix Plasti Dip® products directly from the U.S. factory and operate as major EU Distributor. Classic International is certified REACH compliant. 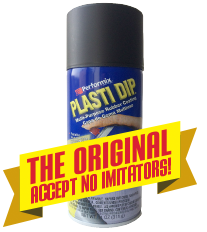 Commercial users of our PlastiDip products automatically get the status of REACH Downstream User. Plasti Dip® is an air dry, synthetic multi-purpose rubber coating. Plasti Dip® resists moisture, acids, abrasion, weathering, electrical shock, skidding/slipping, corrosion; coats and gives a comfortable, controlled, color coded grip to all types of tools: lawn and garden, mechanical, electrical, woodworking, and masonry. Plasti Dip® can be used to pimp or protect the wheels/rims of your car and for 1.001 other applications. Plasti Dip® can be easily applied in more layers by spraying, brushing or dipping. If you want to apply a larger quantity of Plasti Dip® with brush or spray gun, you have to delute with Plasti Dip® Thinner. Create your own Plasti Dip® color by mixing basic colors. Can be removed easily. Pimp your car with our range of PlastiDip fluid rubber colors. Even more variety with Camo (camouflage) in four colors and Smoke (color changes gradually as more coats are added). PlastiDip Enhancers are specially designed to make the already-outstanding PlastiDip home solution even better. Glossifier gives any PlastiDipped item a glossy, polished look; Metalizer adds a shimmering, metallic (gold, silver, copper or pearlizer) finish while letting the color of the PlastiDip underneath show through. Plasti Dip® Phosphorescent GLOW IN THE DARK liquid available now in Gallon. In daylight clear, in the evening glowing. Plasti Dip® suitable for model construction to protect electronic circuits, color encoding etc. ; angling to coat and coloring of a.o. bobber and lead; nature spotter and hunting for camouflage; industrial applications. With the video's on our site you will discover the unlimited possibilities of this unique Plasti Dip® fluid rubber. Daily shipments all over Europe and abroad. Classic International. ... an enthousiastic team, that is already over 34 years serving you the best way possible and is ready for any future inquiries!